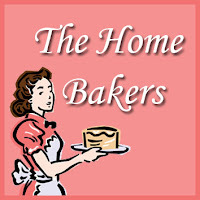 I am working on catching up with the group, The Home Bakers. I have fallen behind because of all good reasons, school, making a wedding, Passover and LIFE. Taking a deep breath, I am going to see how much I can do to get back into sharing with my favorite groups. The group made what I was afraid, would be a flop with hubby - a cake with polenta and rosemary. My husband responds negatively to black pepper on a potato, you can imagine how he would react to a cake with rosemary. When he saw the batter with something strange floating around, he moaned out loud. It didn't look good for a successful cake. I am a warrior so I kept going but made some mini bundts instead of a regular size bundt cake. I had forgotten, it was difficult to get cake out of these molds and when I went to do it, I was totally frustrated. I ended up with a relatively good looking one which I am sharing here. Yes, the confectioner sugar is to hide the flaws, as best as possible. The rest look like they were attacked by creatures from outer space. This was not helping getting hubby to eat these. I forgot about these and went about other business until hubby mentioned, he had eaten cake. I took a deep breath and quietly asked, how it turned out. Note: I did not dare ask if it was good. His response was positive. He liked the cake and did not notice a rosemary taste. I did notice it and I like it. That was a surprise to me. 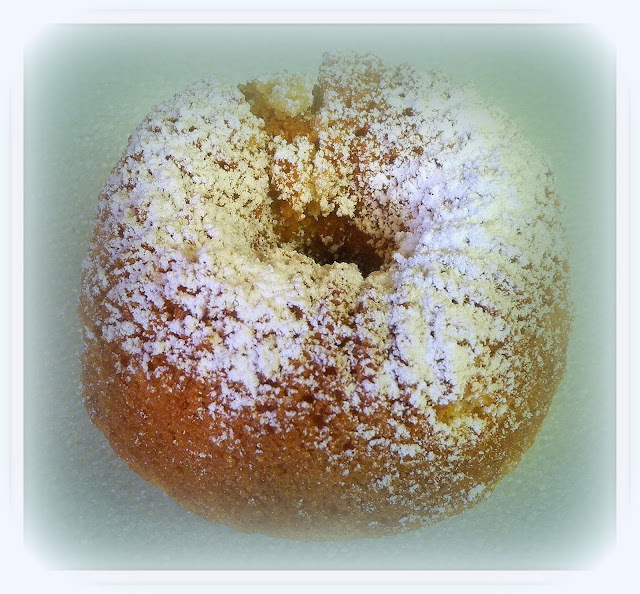 For the recipe, please visit Angela from the Charmed Cupcake. Haahaha.. this is funny. Congrats with success of cake with your hubby. Good to have you back baking with us! and great news that your DH liked it! Great to have you baking with us again! Glad to know that your hubby enjoyed the cake! I have not tried with rosemary, I've used lavender for this bake. I would love to try with rosemary, one of my very favourite herb! So glad you gave this recipe a try. I hope it is a keep in your household as it really is a delicious cake. My hubby and father-in-law are not keen on herbs but they have to try whatever I bake LOL and they really loved it!